The history of RBMS began in 1994 by developing Bintang Metropole Housing Estate in Bekasi, West Java, covering an area of 20 hectares. The housing project was a big success, until in the following 1995, the company developed the second project, Mahkota Simprug Housing in Ciledug, Tangerang, Banten, covering 45 hectares of land. However, either it was because of the 1998 monetary crisis or otherwise, after the second project, RBMS almost stopped operating (or remained in operation by building and selling new housing units in its existing housing complex, but no new housing development). Then in 2013, RBMS tried to revive by developing Saung Riung Housing in Karawang, West Java, and again the timing was not right that the property boom starts several years ago, began to subside. Time passed, till in 2017, RBMS once again moved forward with the acquisition of property developer named PT Alam Indah Selaras (AIS), which hold a housing project for the middle and low classes. Before that, since 2015 until now, the Government of Indonesia launched ‘Pembangunan Sejuta Rumah per Tahun’ Program for ‘Masyarakat Berpenghasilan Rendah’(MBR), selling at price of Rp250-300 million per unit, supported by the ‘Fasilitas Likuiditas Pembiayaan Perumahan (FLPP), and AIS is one of many developers who accept the development work. In addition to AIS, RBMS also acquired PT Tiara Raya Bali International (TRBI), which is the owner and operator of Le Meridien Hotel Jimbaran, Bali. Thus RBMS diversified, from only developing housing for middle class consumers, to developing housing for middle-low consumers, and also has a hotel business. But the most interesting is the RBMS acquisition of AIS. In fact, from Rp24.5 billion RBMS revenues in the first quarter of 2018, almost all of it came from the sales of housing units in the Alam Indah Selaras complex in Karawang, West Java. Throughout the year 2017, AIS succesfully sold 596 modest house units, and in 2018 till April, they have sold 199 more units, which the average buyer is factory employees from many Industrial Zones locations in Karawang. In the future, AIS still holds location permit of a total area of 30 hectares, where on that land, it can be built type 60 houses of approximately 2,500 units. And assuming the company is able to sell 600-700 units of house per year, which is a realistic assumption, considering that the low cost housing program is fully supported by the government (so even the mortgage interest rate is going up or down, it is not going to affect because the house is subsidized), even if in the future, AIS does not re-obtain permission for new land, it still has enough land available to be developed until 2022. 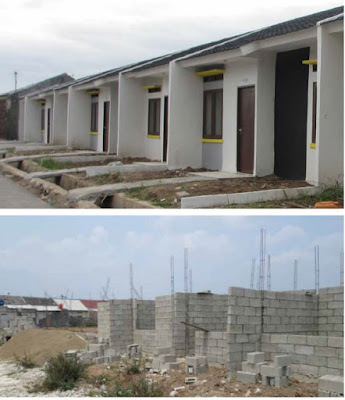 The progress of low cost houses constructions in Alam Indah Selaras Complex, Karawang. 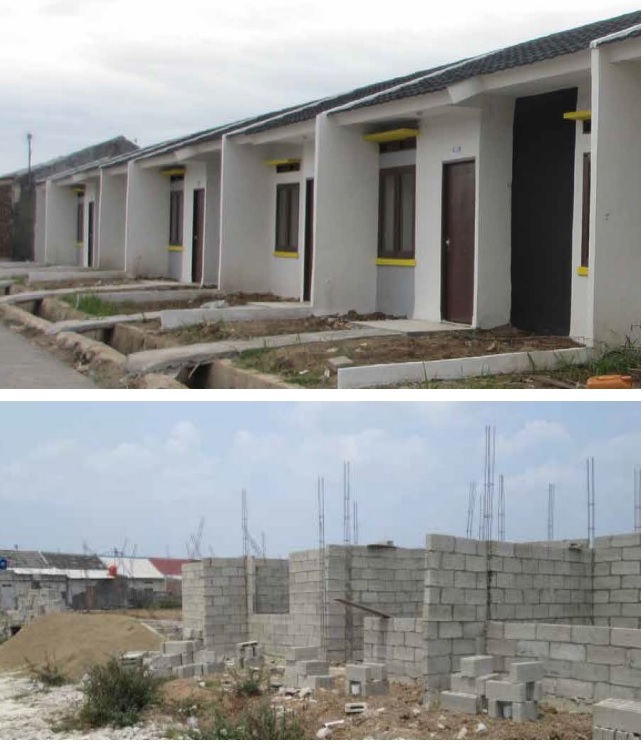 Unlike other public developers which sell middle and upper classes property, RBMS is able to catch opportunities from the low cost houses market for the middle class and lower. Other than its low-cost housing projects, by this 2018 RBMS has also resumed the Saung Riung Housing project, which previously stopped constructing at 212 housing units (from a total construction plan of 616 units on 7.4 hectares), and if it goes as planned, RBMS will build and sell a total of 180 new housing units by the end of 2018. Then, for the recurring income, starting in the second quarter of 2018, RBMS will begin to consolidate revenue from its hotel business unit. There is no specific information about how much RBMS revenues from Le Meridien Hotel Jimbaran worth, but I do not think it will be too significant compared to RBMS revenues from the sale of its housing units. It was mentioned above that RBMS posted revenue of Rp24.5 billion in the first quarter of 2018, with a net profit of Rp4.4 billion, which is not a big figure. But if we look at the cash-flow report, then RBMS booked cash receipts amounting to Rp42 billion, which, after deducting suppliers costs etc, it obtained net cash of Rp21.6 billion (making operating profit margin to reach 50% of revenues). Remember that was also mentioned above that RBMS through AIS sold 199 housing units by April 2018 or approximately 150 housing units until the first quarter (March 2018), while the selling price of the house itself was Rp250-300 million per unit, the Rp42 billion cash received become reasonable. 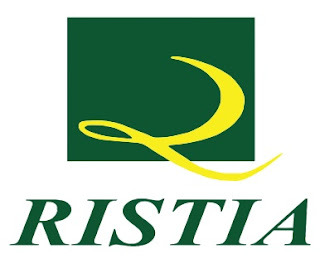 If RBMS through AIS could sell and complete the constructions of a total 600 housing units throughout 2018, which is a realistic projection, then the total revenue is approximately Rp170 billion, whereby if the net profit margin is 20-30% (of which 50% was operational profit margin), then the profit would reach Rp34-50 billion. Well! The number starts to look interesting is it? As RBMS equity per first quarter 2018 is only 170 billion, RBMS ROE will reach 20-30%. And that’s just a projected income from AIS’s housing! So we haven’t calculated the potential income from Saung Riung Housing, and Le Meridien Hotel. Now let us try to be conservative: RBMS successfully sold 100 housing units in Saung Riung (half of its target of 180 units), while the revenue from the hotel is zero. So, assuming the house price in Saung Riung is also Rp 300 million per unit (it should be more expensive, because the type of house sold is not a low-cost house as sold by AIS, but we can use this Rp300 million figure), RBMS will get additional revenues of Rp30 billion, bringing total to AIS’s revenues of up to Rp200 billion, and practically profits could also be greater than Rp34-50 billion. Thus if you are looking for property stocks that offer attractive prospects in medium term, or at least until the end of 2018, then RBMS is worth considering. Because, not only supported by the Government program, the price of its property unit is also very low that the market share is very wide (and indeed its consumer target is very clear, the factory employees in the Industrial Area in Karawang), and the property type is also very easy to build, not township residential or luxury condominium that could take years to work. In addition, RBMS management is also a traditional type that builds houses and sells, does not have a huge debt, and the owner still occupies director position and also a direct shareholder of the company. What matters is the company’s decision to acquire Le Meridien Hotel, where if they cannot manage it (because they are unexperienced) then they could make the company in loss. But with the fact that during 2017, the hotel occupancy rate reached 70%, alias good enough, and the company works with JW Marriott to manage it, let’s see how the results until the end of 2018. Based on the number of outstanding shares, equities, and net profit values of RBMS in first quarter of 2018, at Rp149 per share, RBMS PBV is recorded at 0.3 times alias unbelievably undervalue, while its annualized PER was also only 2.8 times. However, in April 2018, RBMS held rights issue by issuing 1.18 billion new shares at Rp216 per share, so the company received an additional equity of Rp256 billion. Thus the outstanding shares of RBMS after right issue are 1.51 billion shares, while its equity increases to Rp426 billion. Using that data, the PBV of RBMS becomes 0.5 times. While the ROE numbers will also decrease, if it is correct that RBMS will book a net profit of Rp34-50 billion by the end or 2018, then its ROE becomes only 9-11%. But back again, all the above calculations use conservative assumptions, where if we used the targets set by management then the numbers are somewhat more optimistic: Beyond the AIS main project, from Saung Riung and Le Meridien Hotel, RBMS targets a total revenue of Rp250 billion per year (not just Rp30 billion as mentioned above). Yep, so until the end of 2018, or at the latest 2019, company still has a chance to record a much better performance than the above projection. And the most important is the valuation: PBV 0.5 times clearly still very low, so no way RBMS will be back again to level below Rp100 as a year ago, mainly because the company’s performance is also great started since late 2017 (in 2017, RBMS posted revenues of Rp73 billion and net profit of Rp14.5 billion, significantly increased compared to previous years where it almost always lose money). And if all the above projections are realized, or even better, then of course in the future, market will appreciate RBMS shares on a more feasible valuation, at least PBV 1 times. So, yep, we have a huge upside potential here. In conclusion, RBMS is attractive because its shares price is low, its business model is simple, its management is focus and good enough, and its prospect is bright related to Government program. But on the other hand, RBMS is a small company with not well-known brands (and probably you just knew there is a property company with RBMS stock code? ), has no convincing performance track record, and its reliance on Government program makes it risky where if the Government, due to certain causes, in the future discontinue the 1 million houses program (because of critics, never reaching the target, and too burdening the state), then RBMS will be wassalam. So, if you’re not sure enough, then wait until the company releases its second quarter financial statement at the end of July, and see how its right issue will affect the company’s equity. For next week's article, please select: 1. Krakatau Steel (KRAS), 2. Update analysis of Tiga Pilar Sentosa Food (AISA), 3. Update analysis of Construction Sector, or 4. Long-term stock investment strategy for pension fund, the market is still in bearish/ there are lots of cheap stocks. Any inquiries, send email to teguh.idx@gmail.com.